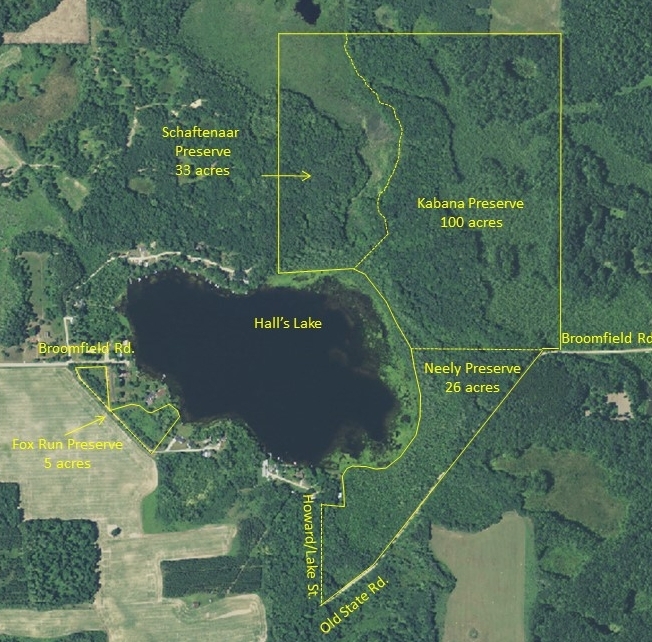 5 acres on the southwest end of Hall’s Lake, directly across the lake from the Schaftenaar Preserve in Broomfield Township, Isabella County. Established in 2014, this preserve consists of two lots with 200 feet of Hall’s Lake shore line, a small wetland and an upland buffer of shrubs and red pine. Due to its small size and lack of trails this preserve is not currently access friendly.